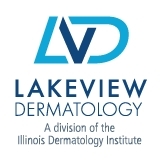 Lakeview Dermatology (Palos Heights) - Book Appointment Online! Sir William Osler, the father of modern medicine, once said, "Listen to the patient. He is telling you the diagnosis." These words are still true today. At Lakeview Dermatology, we know that listening means more than taking your medical history. Your viewpoint is an integral part of your treatment decision. We learn the context of your skin condition in order to consider its physical, physiological, and emotional impact on your life. When we make a diagnosis, we'll suggest your options for treatment in understandable terms. Whether medical, surgical, or cosmetic, we'll explain the concept of our therapeutic approach and why we're recommending it. We also follow strict safety and sterilization guidelines and we comply with all HIPAA rules regarding patient confidentiality. At Lakeview Dermatology, we're here to help you achieve better skin for a happier, healthier life. I met with Dr Melissa Lambert. She was courteous, professional, knowledgeable, and thorough. I have been to other dermatologists, but Melissa is tops. I feel like I am confident that I am in good hands.